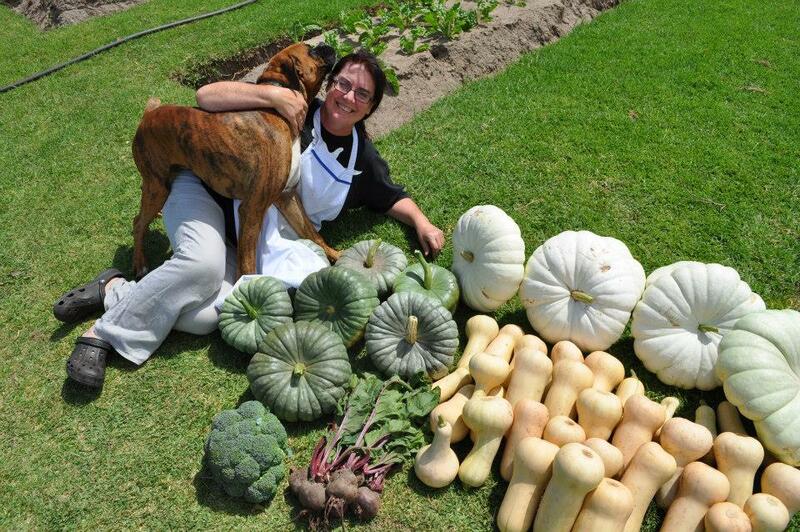 Meet Sue Preece of Sanity Farm Kitchen. The first meeting I ever had with Sue was in the back seat of a car on a dirt road somewhere near Wolvengat. I had a flat tyre (and a flat spare). Sue arrived, after organising a local mechanic to come and help us, laden with incredible eats from her kitchen, fresh coffee and her wonderful warm heart. I make sausages, bacon, scotch eggs and pork pies for country markets and for local restaurants and boutique hotels and guesthouses. I love putting together flavour combinations that provide layers of tastes. Then the customer interaction at markets really energises me. I have lived on Sanity Farm for the past 3 years but we have owned the farm for the last 24 years. I grew up in Cape Town. The breathless, still early mornings and evenings. The forgotten skills of cooking, hence my field of Olde style sausages, scotch eggs and pork pies. These days, there is very little time for fun….. When I was younger, it was windsurfing. Now, my favourite thing to do on the farm is sit around our huge bonfire on a clear night. Driving down every obscure gravel road, exploring…. Layla by Derek and the Dominoes. Bad spelling and poor grammar. My 3 dogs, Lula, Google and Chicken. My ever faithful spinach and bacon salad. Espresso beans, grinder and Bialetti espresso pot. What we have named Ricardo Beach between Buffeljagsbaai and Die Dam. Don’t mess with my family and friends! Sue will be at the Elim Wine Festival this coming weekend. If you haven’t tasted her fine fare – DO YOURSELF A FAVOUR!